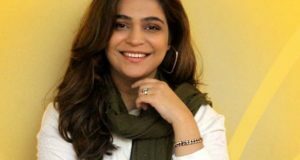 KARACHI: There has been an increase in the presence of women in mainstream Pakistani media in the past five years, it emerged on Wednesday. According to a Global Media Monitoring Project (GMMP) 2015 national report titled “Who Makes the News”, it increased to 36 per cent in 2015 from 27 per cent in 2010. Coordinated by the Uks Research Centre, a resource-based publication centre dedicated to the cause of gender equality and women’s development, the GMMP 2015 report is based on the monitoring of six newspapers (print), four news channels (television), two radio frequencies and five news websites, and tweets. All content was monitored by a team of 17 volunteers, mostly university students, on Wednesday, March 25, 2015. The report focuses on several aspects of gender representation in news content. Though there has been an increase in women representation in news stories as compared to 2010, men still “dominate the news stories in all topics from politics, crime, social issues, to health and even celebrity and arts”. The main theme that dominated the news, according to GMMP 2015, was social and legal issues followed by crime and violence, and politics and government, respectively. However, only four per cent of news stories aired delved in to the issue of gender inequality, and content challenging stereotypes remaining negligibly low. Also, when reporting on victims, “61 per cent of news stories had female subjects and 38 per cent male”. This is not a unique phenomenon, as the GMMP 2010 report revealed “media content, including the portrayal of girls and women in the media, remains largely patriarchal, gender-insensitive and sometimes violates consumer rights, as well as media responsibility and accountability”. On the day of the monitoring of media content, the only story focusing on women reported across Pakistani media was of political activist, Asiya Andrabi of Hurriyat Party who made news by hoisting the Pakistani flag on Pakistan Day and singing the national anthem in India-held Kashmir. GMMP began in 1995 when volunteers in 71 countries around the world monitored women’s presence in their national radio, television and print news. This is the second time Pakistan has been involved in GMMP, both times coordinated by Uks. The report also reveals an increase in the overall presence of female reporters from 11 per cent in 2010 to 16 per cent in 2015. However, though the presence of women as reporters and presenters may have increased, “actual stories about the ‘real’ Pakistani women remain invisible and stories with women being sensationalised and trivialised”. Sexual objectification still persists in the Pakistani media, “more so in the regional and Urdu language media than the English language ones, across all media”. The report does also acknowledge that “a single day of media monitoring is not enough to reflect the media practices and/or violations of ethics that prevail”.